RICHMOND, Va. (AP) — Former Virginia Gov. Terry McAuliffe has dusted off his old state political action committee to accept big donations and cut checks to Democratic parties in early-voting states as he weighs a presidential run, campaign finance records show. McAuliffe’s PAC raised more than $300,000 in the second half of 2018 after not raising any money in first six months out of office. The PAC’s spending in recent months has included money for staff, travel and donations to the Democratic parties in Iowa and New Hampshire — both early voting states in presidential primaries. Using the PAC to explore a presidential run would be illegal under federal law, but McAuliffe spokeswoman Crystal Carson said the PAC, which is named “Common Good,” wasn’t used for those purposes. “Funds from Common Good were used to support governor candidates and state parties across the country who share Governor McAuliffe’s values,” Carson said, adding that the PAC is closing. Iowa and New Hampshire were the only state parties that received donations, though the PAC helped pay for McAuliffe to travel to several other states to promote Democratic candidates. The PAC also gave donations to a handful of gubernatorial candidates. The bulk of the money was spent on salaries for staffers and travel costs. Black Entertainment Television founder Robert Johnson gave $100,000. Professional sport team owners Daniel Snyder and Jerry Reinsdorf also wrote large checks. 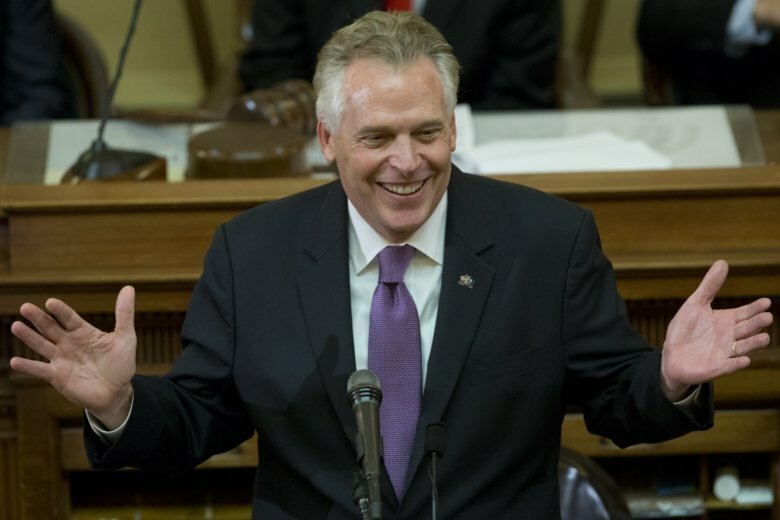 McAuliffe’s biggest Virginia-based donors include tobacco giant Altria and Dominion Energy CEO Tom Farrell. Virginia has one of the loosest campaign finance systems in the country, with virtually no limits on how money is raised or how it is spent. Every recent Virginia governor has run a PAC while in office to pay political aides and donate to his party’s candidates and some have continued to raise and spend money after leaving office. Presidential campaigns and exploratory committees have to abide by contribution limits and can’t accept direct donations from corporations. But federal law is unclear about when candidates are technically exploring a run, said Brendan Fischer, an elections expert at the Campaign Legal Center, a campaign finance reform advocacy group. “There can be some gray area between a former governor who is simply trying to support members of his own party and a person who is laying the groundwork for a presidential run,” said Fischer. The Associated Press reported in September that McAuliffe, a former Democratic National Committee chairman and close friend of former President Bill Clinton and Hillary Clinton, had been in touch with some influential operatives in Iowa and nationally who said he was seriously considering a 2020 campaign. McAuliffe’s schedule in recent months certainly indicates he’s leaning toward running. He’s crisscrossing the country promoting Democratic candidates, showing up on cable news and writing newspaper opinion columns. “I’m obviously looking at it,” McAuliffe said recently on CNN.